Yes supersonic maintenance can cost mroe than a plane costs, but some planes have very different part count to cost rations, and with a very low one it becomes less important. I would maintain them by buying ones that are cheaper per seat, some fo the extra profit can be used to maintain them. I thouyght by turn-around time you meant the time between when a plane lands from one trip and departs on another. Am I mistakjen? Here's a different analogy, if you have a service from New York to London or Paris, do you use multiple smaller A330s or 767s? Or do you use the A380 or 747 exclusively? The answer lies between the two, as larger planes are needed during certain days of the week, or certain hours of the day, as are smaller planes. As for the turnaround time, I was specifically talking about the businessperson. The planes don't wait for passengers. That's the part that didn't make sense. There are no large supersonic planes in the fleet, it is more economical to have both large planes and small ones. RFK Co. (formerly known as Roley and Ferbur's Design Emporium) presents the pinnacle of their product line: K-57F in the "supersonic" category. The Model F, equipped with two Panther engines, posesses the same unsurpassed maneuverability and ease of flight as other members of the K-57 family and can carry 40 passengers around Kerbin at hypersonic speeds with luxurious comforts of a private business jet. It costs only a bit more than your average subsonic 40 passenger plane, while the maintenance costs are practically the same. Why crawl like a winged snail somewhere below the clouds when you can soar around the globe at Mach, 3 like a thunderbird of pure glory? Purchase K-57F now - and earn a Kraken plushie and a rare Jool Expedition poster signed by Tangy Kerman herself! Here's a different analogy, if you have a service from New York to London or Paris, do you use multiple smaller A330s or 767s? Or do you use the A380 or 747 exclusively? The Jumbo jet have lower initial purchase/maintenance/fuel cost per seat than smaller jets. The same cannot be said for many entries here. In terms of maintenance cost, Rapier = Whiplash >> Panther > Goliath = Wesley = Juno. After burners dont require much in terms of maintenance or R&D, turbo ram jets need R&D, so initial cost is higher. Also, since we are comparing crafts that solely use whiplashes, I don't think that works when it otherwise would. Also, since we are comparing crafts that solely use whiplashes, I don't think that works when it otherwise would. The Swift Moon uses 8 whiplashes, the Dotsero only uses 1.... The cost of the bigger plane doesn't seem to be proportional to its passenger capacity. Yes you would, because 767s are larger and cheaper per seat, the airlines don't use them purely because they are larger, they use them because they are more economical, and the planes are big enough that they are only economical if mostly full, so they only operate on the busier days. And a plane not waiting for passengers, surely you would want several smaller planes rather than one larger one, (all else equal) because several small ones depart more frequently, when you arrive at the airport, if a plane leaves hourly, you never have to wait more than an hour (assuming it has space for you) but a once a day plane, you could miss it and have to come back tomorrow, or you get get there several hours earlier. In about... 4 1/2 hours. 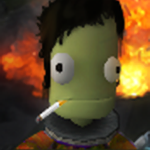 Maybe 5-6 hours, because I've finally decided to update KSP to 1.3.1. Maybe. The new BDArmory system works well, I can tell you that. 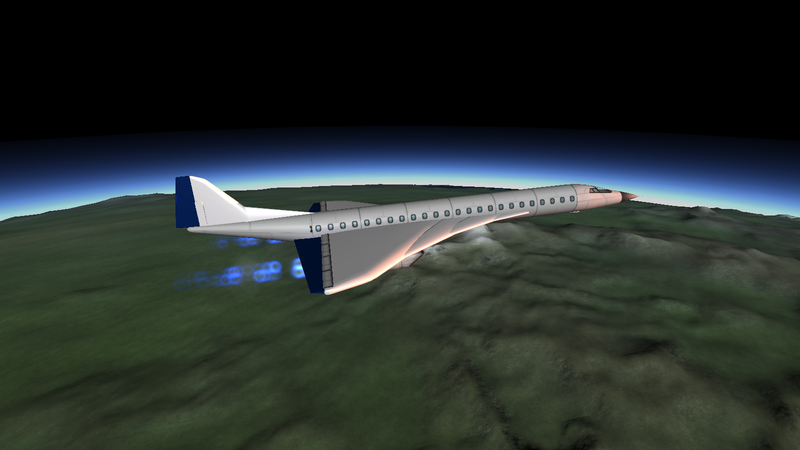 I can easily make supersonic craft that do, at a minimum, 1,000m/s, and at most, 1800. Fuselage will be covered with radiators (not covering the windows) do bleed off excess heat to avoid overheating. Why has nobody done this yet? C'mon, lets keep the passengers in a flying tubular freezer with wings. Thats basically what happens. You have many good points, I will give you that. However the rules for this challenge heavily favors the small cabins, at least price wise. For the sake of making the challenge more fun, and encouraging more diverse submissions, I think it would be wise to not put too much emphasis on purchase prize of planes that uses the large cabins compared to the ones that uses small cabins, as they will pretty much loose by default. Maybe pretend that they have a much longer life span then the small cabins? Considering the price difference it would make sense right? Once again Neist Air is ready to present a new line of planes. 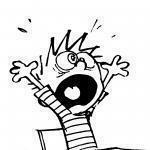 Be hold the Slinky series! This series of planes is designed to cover as many as possible of the requirements of KEA using as few and as standardized parts as possible. With only 11 unique parts they have managed to cover planes ranging from 24 to 72 passengers, even going supersonic, and all of them with enough range to circumnavigate Kerbin without landing. They all share the same wing, landing gear cockpit layout and tail section. And with the exception of the supersonic variant they all share the same engine. This means that minimal retraining is required for pilots switching between the different models, and practically no duplicate equipment is necessary for the ground crew. This makes the Slinky series Ideal for a standardized fleet, boasting low maintenance and training costs. The aircraft have also all been tuned for optimal handling under most normal flying conditions. Our test pilots even claim that the all to common tail strike is nearly impossible with these aircraft. Also all models except the 40s comes with thrust reverses conveniently bound to action group 1. In the image from left to right, Na Slinky 24, Na Slinky 32, Na Slinky 40, Na Slinky 72 and a prototype of the Na Slinky 40s with lighter landing gear, which although sufficient, proved somewhat dangerous under non ideal contitions. note: This is the smallest aircraft in the series. For it's size the aircraft is a little bit expensive, and the range is quite frankly overkill for the turboprop class. 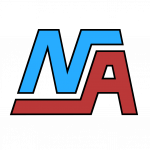 Nevertheless, downsizing the main design was quite easy, and since development cost was so low on this one, it has been decided that for a limited time orders of 10 or more aircraft will get an NA Slinky 24 for free. note: At only a fraction more cost than the Slinky 24, the Slinky 32 is a much more reasonable aircraft, though the range is still overkill, and the price is still a little higher than the competition. However the economy department ran the numbers, and they think the Slinky 32 still makes sense when operated in tandem with the other aircraft in the fleet. note: Again only a fraction more of the cost of a Slinky 32 you can get the Slinky 40. This is where this series of aircraft really starts to hold it's own economy wise. It still boast the same great range as its smaller siblings, but with better passenger capacity this is considered one of the workhorses of the fleet. note: A very high value plane that is cheap and economical to operate. Who would have thought one Wheasly could push 72 passengers? Well, the builders were skeptical, but the engineers insisted that a prototype be built any way. The numbers don't lie they said. And they were right. Although not quite as nippy and a little more thirsty than it's smaller siblings this is a great way to move a lot of kerbals for very little money. note: A very simple modification of the Slinky 40. Simply unbolt the engine, and wings. Bolt on a new engine and bolt the same wings back on in the rear position. This makes the Slinky 40s an extraordinarily versatile aircraft. Fly super sonic in the morning, switch to subsonic configuration while the pilots are off on their lunch break, and fly subsonic in the evening. Though be aware that additional training to handle the supersonic flight, as it requires great a greater attention to detail than the other aircraft. This is partly because the supersonic abilities of this air frame was a bit of an afterthought, and as such it does not posses the proper radiation shielding required for flight above 15km altitude, which also happens to be it's cruising altitude. Though test pilots have reported that the aircraft is capable of more economic and faster flight above this altitude. One of the more practically minded engineers suggested wrapping the passengers in tin foil before flight to mitigate the radiation, and allow for this high altitude performance to be utilized, but not everybody agreed that this was such a good idea., after all tin foil is a known chocking hazard. Also the 40s lacks thrust reverses, and so the pilots have to use other techniques for slowing down. note: to reach alternate cruising, a slow and steady climb must be performed from 15km, maintaining speeds in excess of 1000m/s. A jumbo sized sibling is also in the works, however it is not ready for announcement at this time. The EC is the Dotsero, but cheaper. Some problems persist, like the problem of tailstrikes of a pilot isn't paying attention. Due to the cost cutting, there was weight cutting, and due to this weight cutting, there was a performance boost. 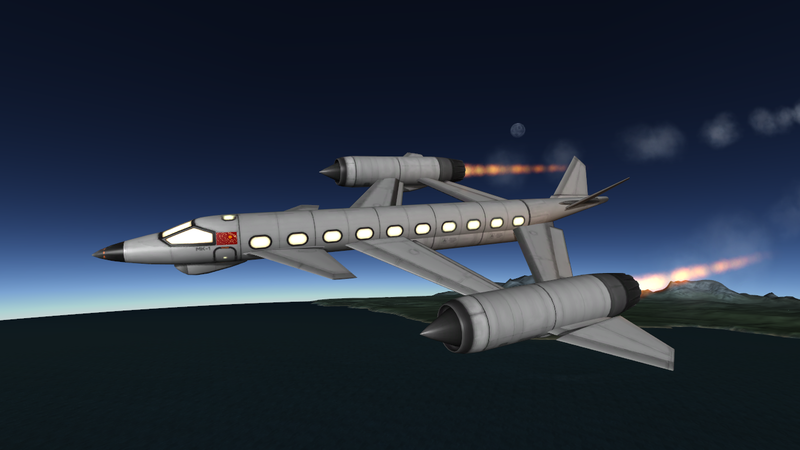 Another persistent problem is that if it climbs up too slowly, (even at Mach 1!) it is unable to accelerate the cruising height. The lighter frame comes with much less fuel load, and so the range is still great, but reduced from the stupendous levels of the Dotsero. Also like the original, it struggles to turn at high altitudes. The EC, we think, stands for "Extra Cheap", and it is cheaper, in upfront costs by about a quarter, and in maintenance and fuel. The part count is lowered to 28, after removing a couple of struts that went no-where and we are mostly sure are unimportant, so, very low maintenance by supersonic standards. It's cheaper, shorter range, and that's about the only differences from the regular model, we'd like to buy 12. It's a small turboprop, with not much odd except the pusher engines. It accelerates very quickly, although it has to get up to 60m/s to unstick. The review states it is not taped togethor, and that is true, it's put together using blue tack and staples; the plane is strong enough though so nobody would know unless we told them. It hardly flexes in flight, and it can climb well. We found the last part odd since it tops out at such a low speed, it flies on full throttle. The engines make it accelerate like a supersonic plane, so we did not expect such a low top speed, especially with the engines going full tilt. Our engineers say something about "not being optimized for high speed" with the engines thrust falling off dramatically at higher speeds. With comfort, two prop engines are a bit noisy, although the blue tack construction stops most vibrations; the views are good. The reversable engines are welcomed by pilots on landing, it can land very quickly. And with 28 parts, maintenance is a bit on the cheap side. The "L" variant is bigger, and upon testing we found to be just as fast, but can suffer from tailstrikes, while costing an extra 800k, and slightly higher part count. The L version is unsafe, and considering it's pretty close to the normal one we'll buy 2, but the normal one, it's cheap and efficient; we'll buy 12 CL-2-RREs for mid range turboprop lines. Hmm, would a heli which rolls forward before takeoff count? First of all, thanks for all the reviews! I've been looking forward to getting some of my crafts reviewed for a while. The Dotsero's do have some issues yeah, I've only picked up on most of them after they've already been submitted which is why they're still present. I didn't know about the CL-2-RRE-L's tail strike issue though, thought the wheels were far enough back to prevent those from happening, guess I was wrong. The engines having such a low top speed is indeed a bit of a double edged blade. Yes they're slow, but on the other side they're very efficient and allow for good range. Also, they've got a lot of torque when not at cruise speed, which explains the great climb ability. I've been working on this beauty (and beast at the same time). It's got range (global right now), it has speed, reasonable efficiency, and you can actually comfortably fly it. Yep. Airplane Plus, Stock, and Tweakscale. DCK is the paint, but that's optional. The plane currently has 144 passenger capacity and 3 crew. Yeah, it seems the submissions keep coming in about as fast as you can churn out the reviews. I have been reading a lot of them, and they are quite enjoyable to read. I could probably do a few my self, if someone wants to give me few to review. Also your comment sparked some ideas for some rather novel designs that might be worth posting. Has nobody submitted a proper jumbo? If not I'll make one. I've made one before. I submitted one. It just hasn’t been reviewed yet. 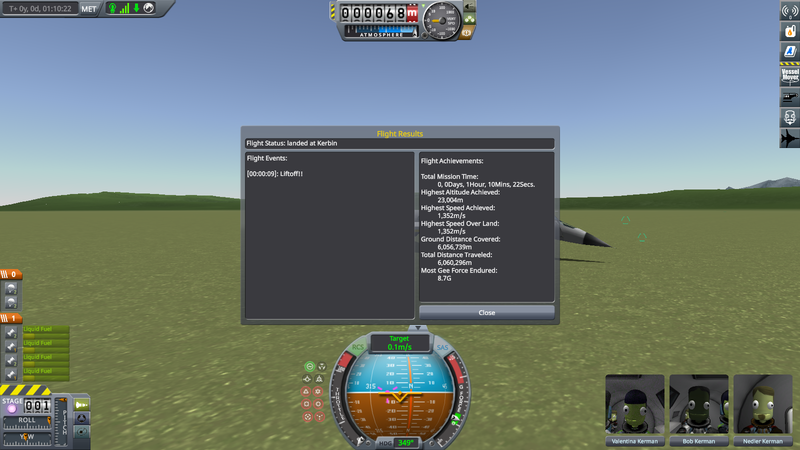 As a side note, AtmosphereAutopilot by Boris-Barboris is a god-tier mod which has a fly-by-wire that makes very unstable aircraft fly smooth as butter. I should probably tighten up my stability if the judges aren't using it.